Motherwell will take on Rangers in the first round of the revamped Scottish League Cup after the being drawn in a group together. 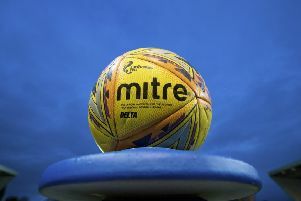 The two sides meet at the conclusion of last season in the Ladbrokes Premiership play-off final, which Motherwell won handily with a 6-1 aggregate victory. Rangers will now get the chance for some revenge ahead of their debut season back in the top flight when the group stage games take place. It is not known at which venue the tie will be played as each side plays the other four teams in their group only once. The exact home and away fixtures will be announced on Monday. Elsewhere, Dundee United face a tricky route to the last 16, squaring off against Inverness CT and fellow Ladbrokes Championship side Dunfermline. The eight group winners and four best runners-up will join the four clubs contesting in European football - Aberdeen, Celtic, Hearts and Hibs - to make up the round of 16. The group games will be played between July 16 and July 30.